Rigor Hill Press, 9781545627037, 122pp. 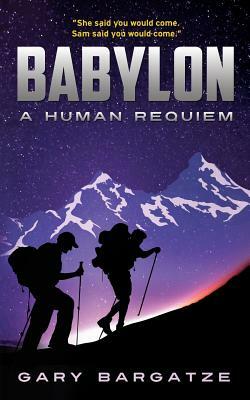 This eighth and final book in the Your Winding Daybreak Ways series, the novella, Babylon: A Human Requiem, opens with the English PhD candidate, Kyle, editing his sister, Samantha's, completed manuscripts of the seven previous novels in the Your Winding Daybreak Ways series and the unfinished draft of an eighth work tentatively entitled, Babylon: A Human Requiem. This eighth manuscript has remained unfinished because Kyle's sister disappeared ten years earlier without a trace. During the editing process, Kyle becomes convinced the seven completed novels closely parallel his sister's life and hold clues to her disappearance and perhaps to her whereabouts. His investigation leads him from Block Island, Rhode Island, to Williamstown, Massachusetts, and from Washington, D. C. to Maui, Hawaii. As the result of his investigation, Kyle learns disturbing things about his own life; Samantha becomes a character in her own unfinished work; and Kyle, rather than finish editing the drafts for his PhD, is left to complete Babylon and publish the overall encyclopedic narrative as the Your Winding Daybreak Ways series.